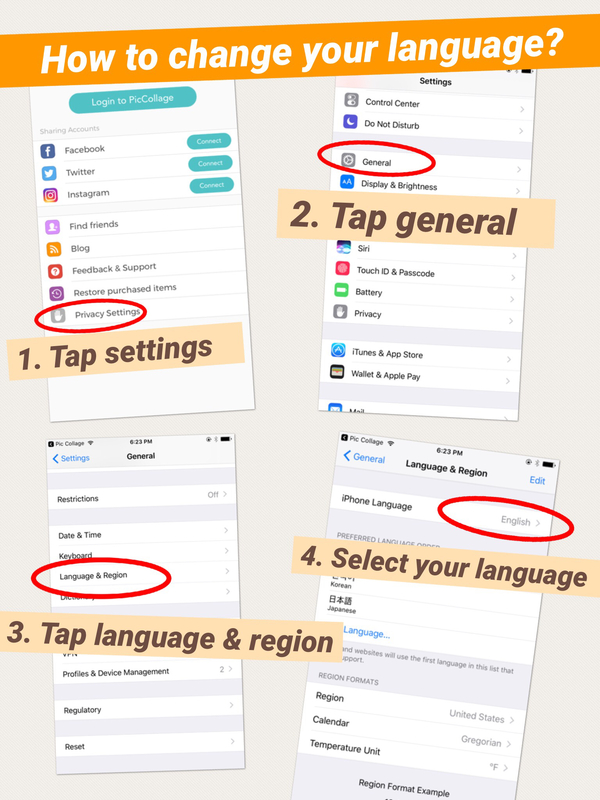 The language showed in PicCollage depends on your device language. For some specific countries, it may be English as default since we haven't supported your device language yet. [Crash] Did Pic Collage crash? Is Pic Collage not working? Help!